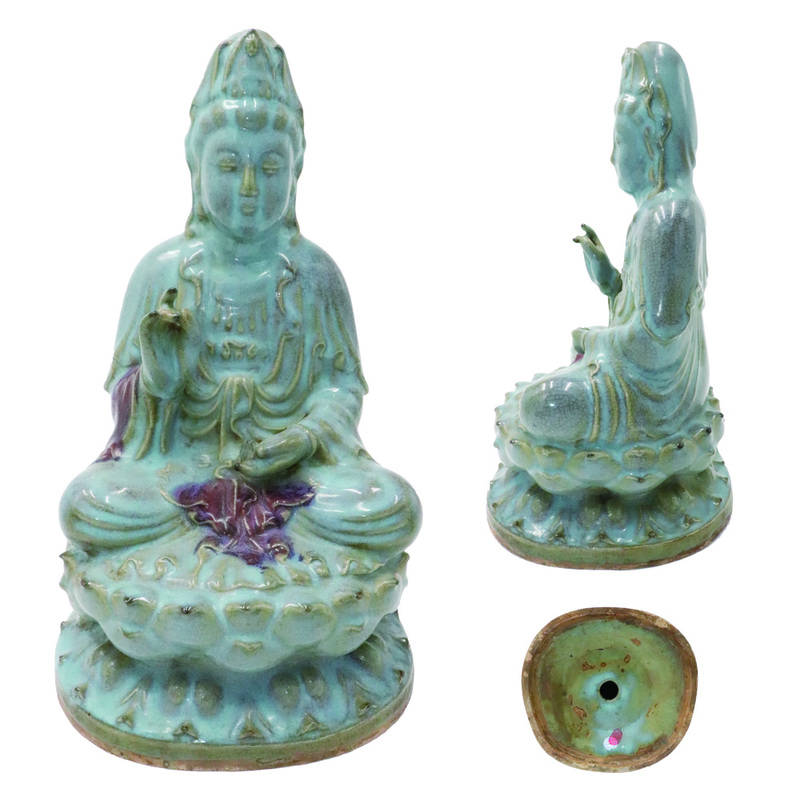 This ye jun porcelain glaze color sky blue, with a slightly below the light purple, more in the glaze cloth erythema, soft luster, glazed smooth and moist, opens the small lines, spots, natural, the crystal color variety, shades, the bottom of all brush with sesame caramel embryo glaze, guanyin hairdo updo, low first drop my eyes and high nose hanging ears, face long round, plump plump, mouth inside collect, kindly, is located in the double lotus seat, the overall image vivid, lifelike. The exquisite depiction perfectly embodies the classic and beautiful image of guanyin bodhisattva. The product and appearance are complete. It is really not easy to be burned, and the collection value is of great potential.